Living Life Chiropractic offers an upbeat, pleasant atmosphere that will make you feel right at home. Our cheerful, friendly team is ready to help you! When you arrive, we’ll have you sign a couple of forms at the front desk, then go back to an examination room. There, you’ll meet Dr. T.J. to talk through your health history. We’ll do an examination, including taking scans with the Insight™ Subluxation Station. If needed, we’ll take X-rays at our on-site facilities. You’ll receive a chiropractic adjustment and any therapy that’s needed. We’ll provide about 40 minutes for this visit, but it usually takes less time. At your return visits, Dr. T.J. will discuss how you’ve been feeling since we saw you last and answer any of your questions. You’ll receive an adjustment and any needed therapy. Subsequent adjustments take about five minutes, with additional time required for therapy. 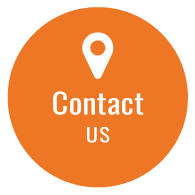 Contact us today to discuss what we can do for you! We offer convenient same-day appointments for immediate attention.